Eddie Jones will pay little attention when New Zealand perform the Haka on Saturday - joking that he would not notice if the Spice Girls were singing instead. England face Steve Hansen's world champions for the first time in four years in the second November International of the autumn. 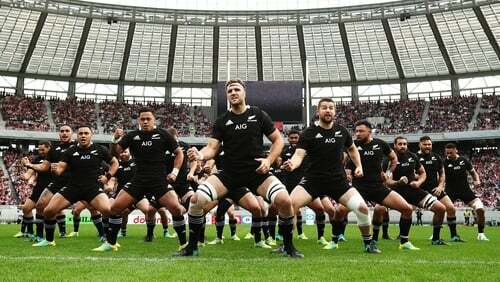 Previous All Blacks renditions of their customary Maori challenge at Twickenham have been met with cries of 'Swing Low, Sweet Chariot' from home fans, but the exchange will pass Jones by. "At that stage of the game, they could be playing the Spice Girls and I wouldn't know what's being played," Jones said. Hansen believes the weekend clash is bigger than last year's series against the British and Irish Lions. The sold-out Twickenham Test follows the 2017 Lions tour when New Zealand were held to a draw on home soil.